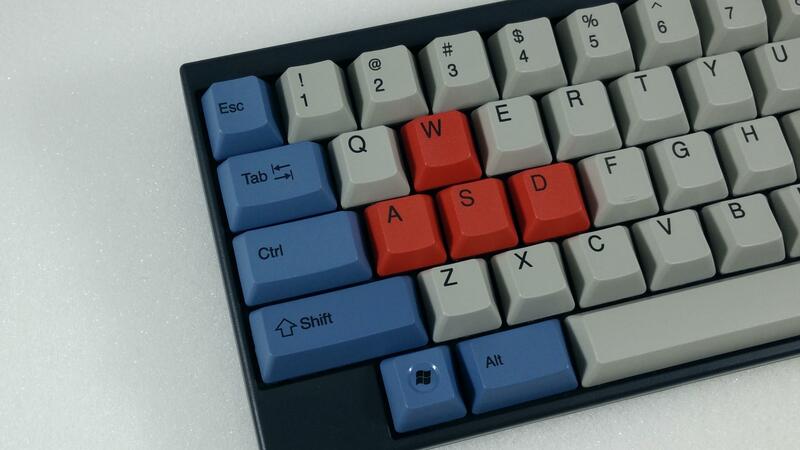 Kudos and his GF Koala T have been making killer keycaps for a while. 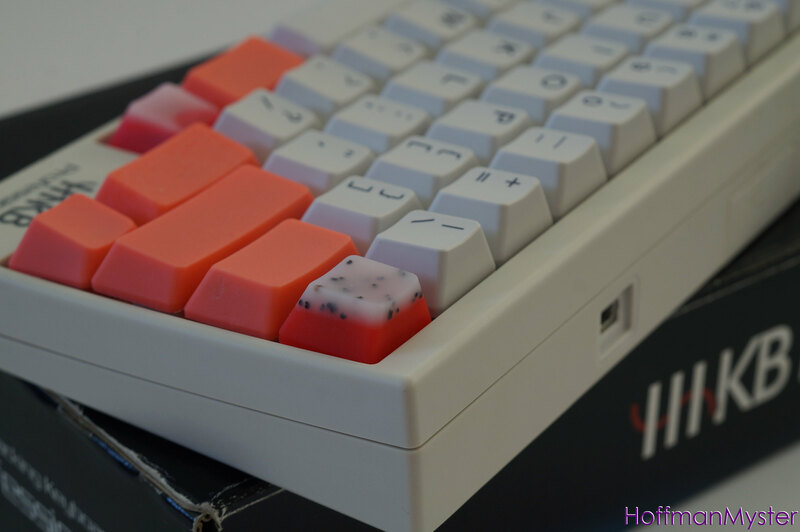 Most of you know them for their Topre Modifiers. 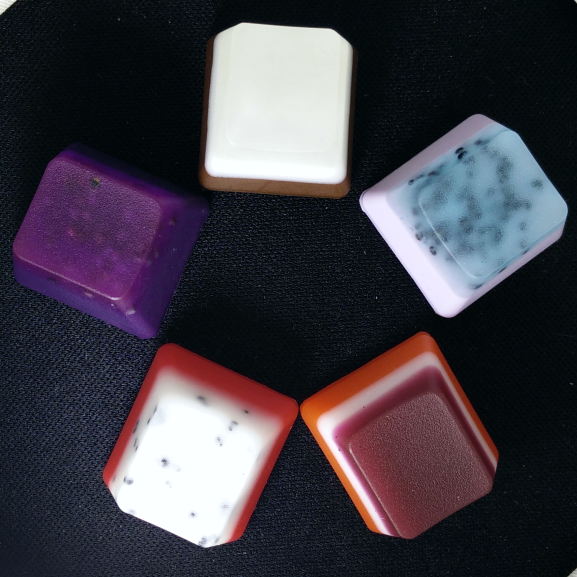 Which are made under KeyKollectiv. I believe they need a media thread! 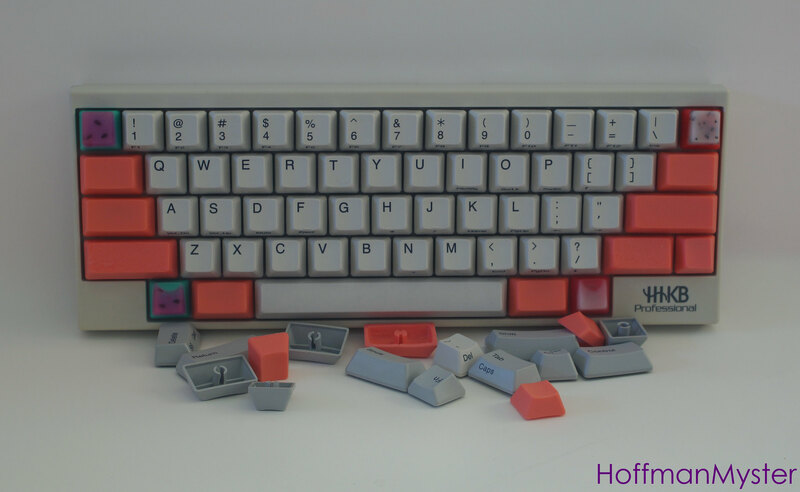 Topre Doubleshot Grey and Purple Semi Trans Fn and Esc, these are awesome quality and fit great. 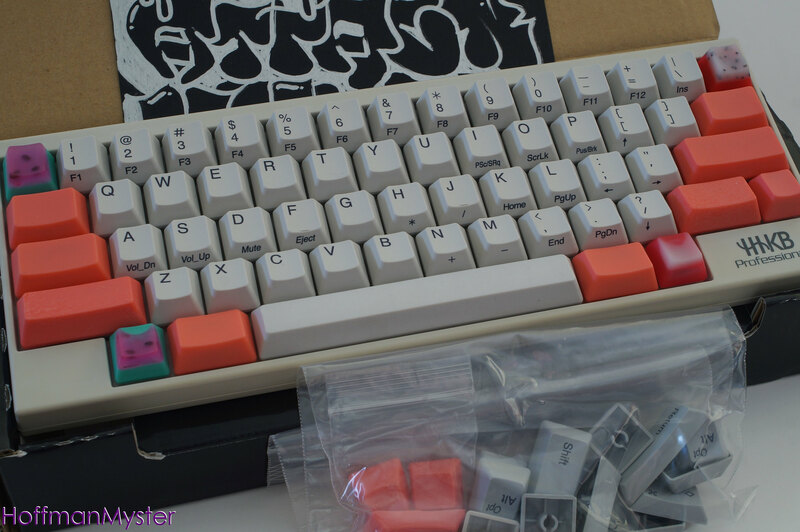 Topre Purple Fn Trans and Teal Esc Trans, these are awesome colors, nice logo inside too. 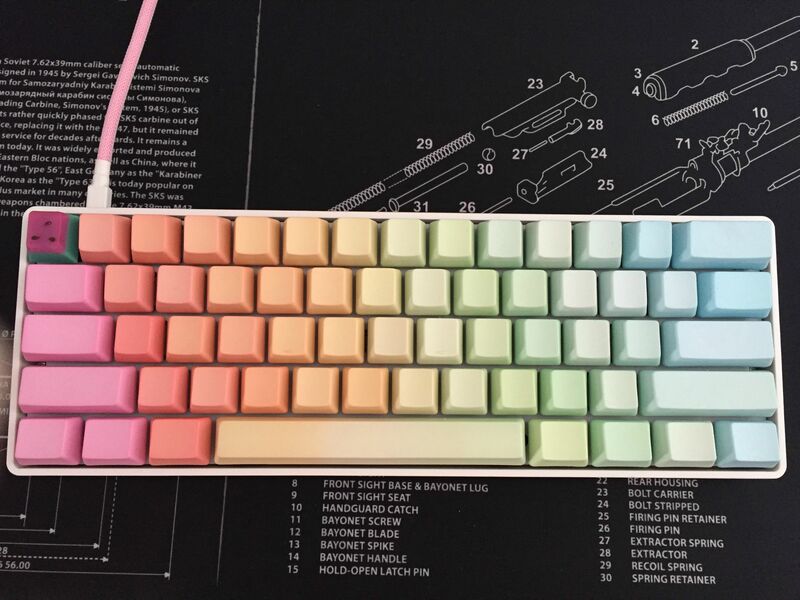 Re: Post Your KeyKollectiv Keycaps! I love the colors, and the profile is spot on! Awesome photos guys!!!!!!! Those snack keys are nuts!!!! Hell yeah! WOW! I thought there would be way more photos by now. I was one of the last modifier orders made, I believe. Most of the buyers must be on Reddit I assume, ey? These were well worth the wait, these are AMAZING! 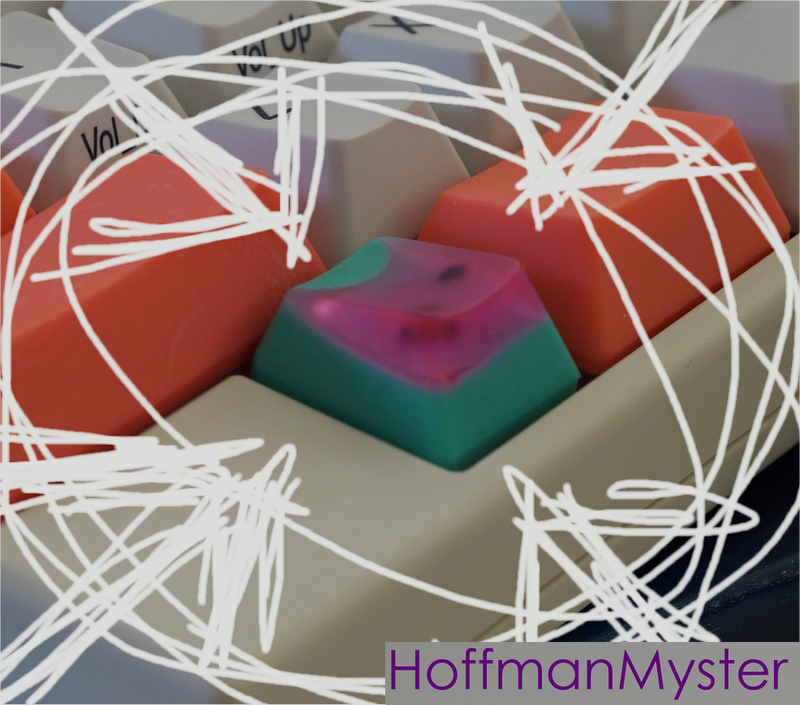 First off, Ive been wishing an Artisan would make modifier caps. No one seemed to want to do it.. Synjin made a partial orange set which was close, but he never finished the whole set. 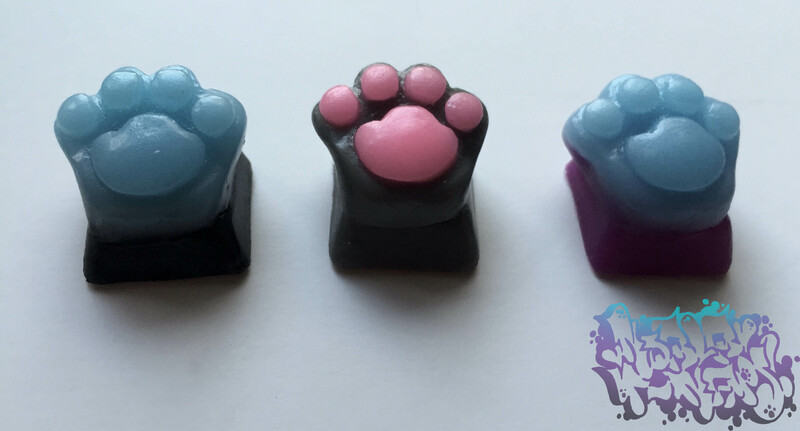 (I understand why, now that Kudos says how hard it was and he doesn't wish to do it again) BUT, he made some! So that is what matters right now. :] The color is amazing and the quality is superb! 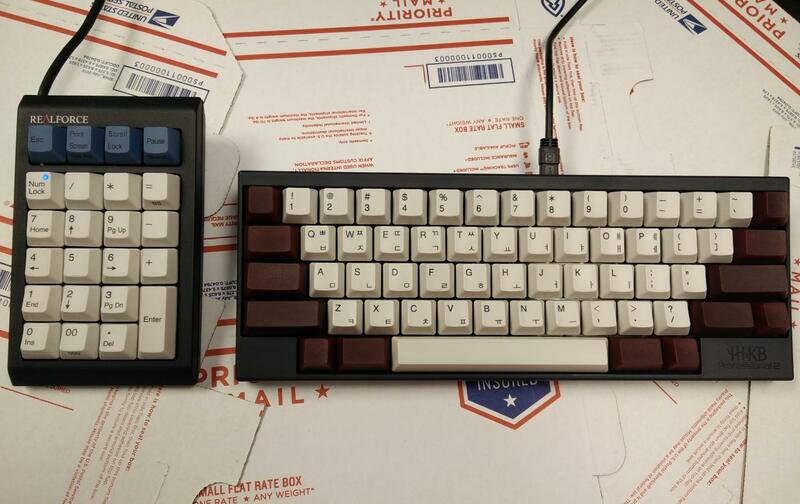 Awesome caps man. WOW! I thought there would be way more photos by now. I was one of the last modifier irders made, I believe. Most of the buyers must be on Reddit I assume, ey? Jesus. Don't think I'd seen any pictures of a production-release purple set yet, that's one hell of a way to introduce it. Great pictures, great set! Contest entry confirmed. Thanks bud! Ya'll mother****ers making me emotional and ****. WOW! I thought there would be way more photos by now. Thanks guys! I have more photos to edit soon. I love this thread. Amazing work kudos and team. These mod sets are a huge endeavor and turned out great; kudos (hehe) to you. Keep the pics coming, guys!! 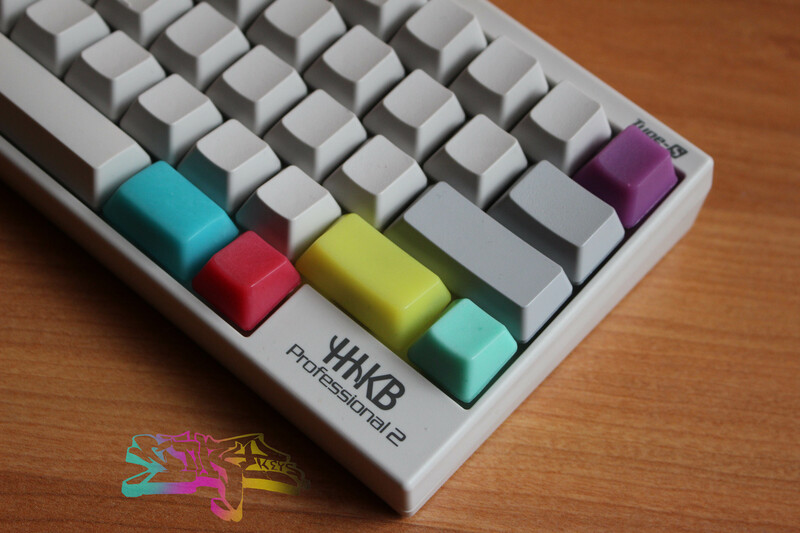 These blanks make me sad I don't have my HHKB, anymore. Damn. yeah his work is phenomenal!!!!!!!! I still cant believe he actually took on the challenge of making Mods!!!!!! I am sad that I missed the sale. I have a few more mods to add, see what layout I like. I'll also try take some better pics when I clear my desk away. 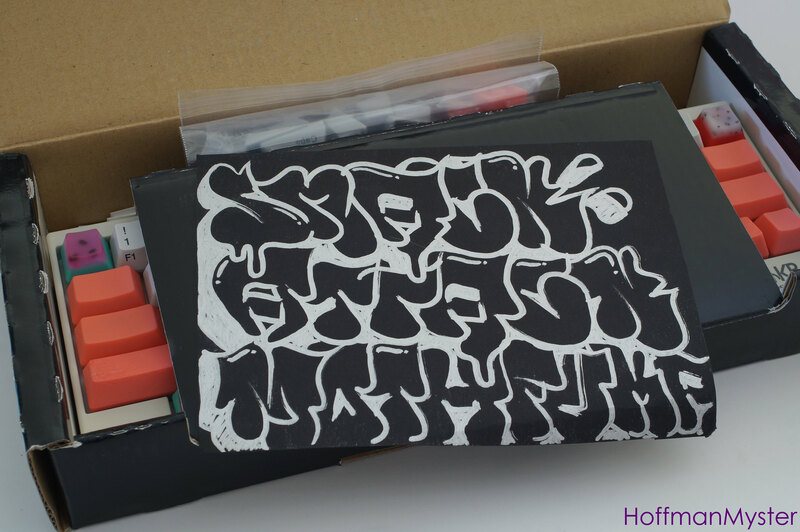 Thanks It was F4 from ImpendingDoom's first sale! 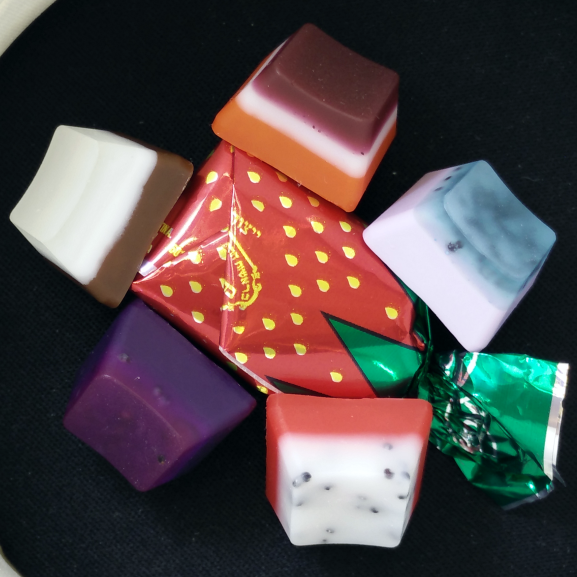 Nice man, another awesome artisan! 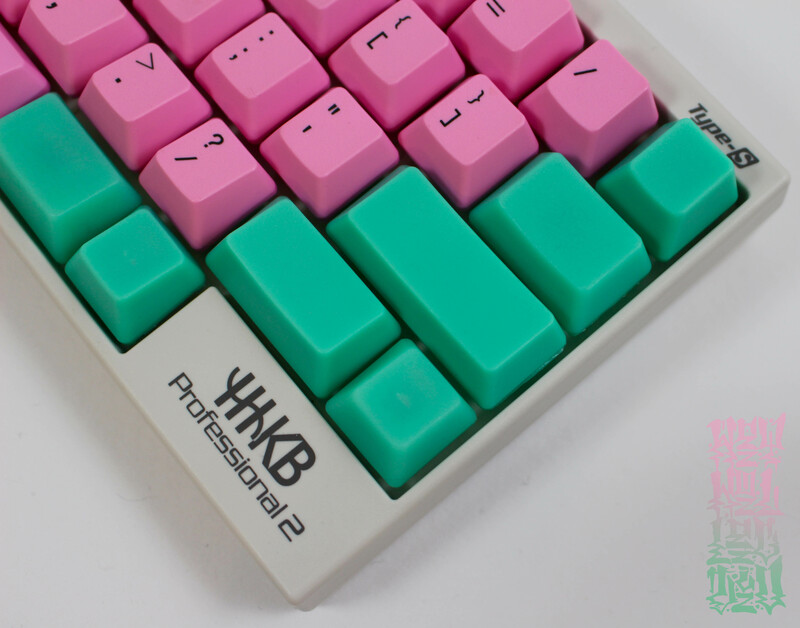 You already know your HHKB pics were the inspiration for me finding this set! I can finally contribute here! So happy. Nice photos Hoff! 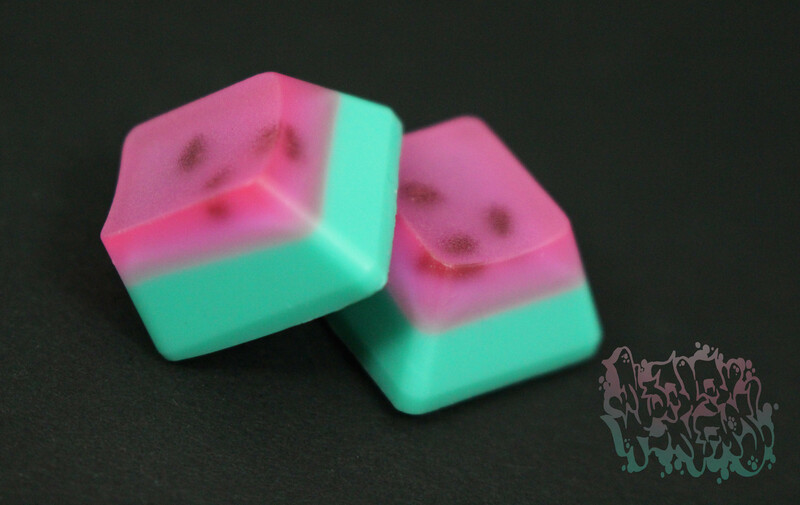 Those snack Fns are so dopeee! My one and only. 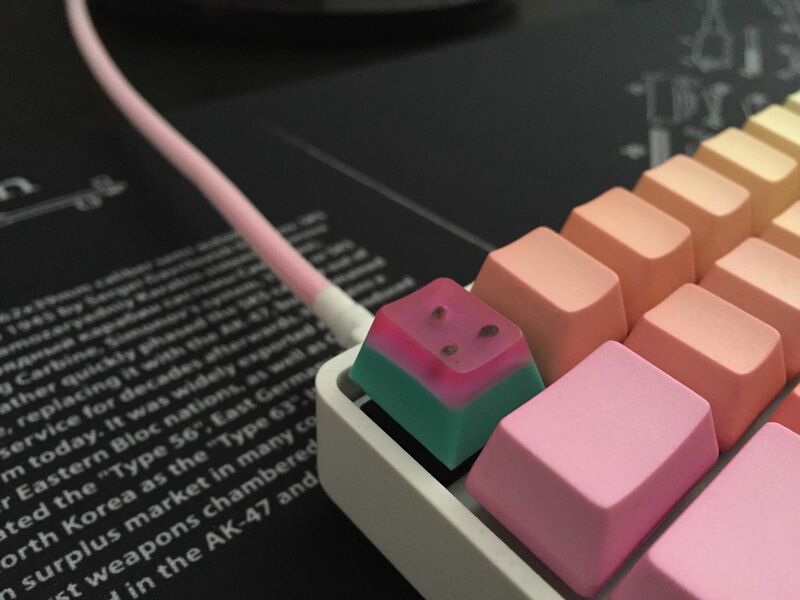 Can't wait to get a chance at future caps. This one is amazing, I can only imagine how good the others look. Great work! 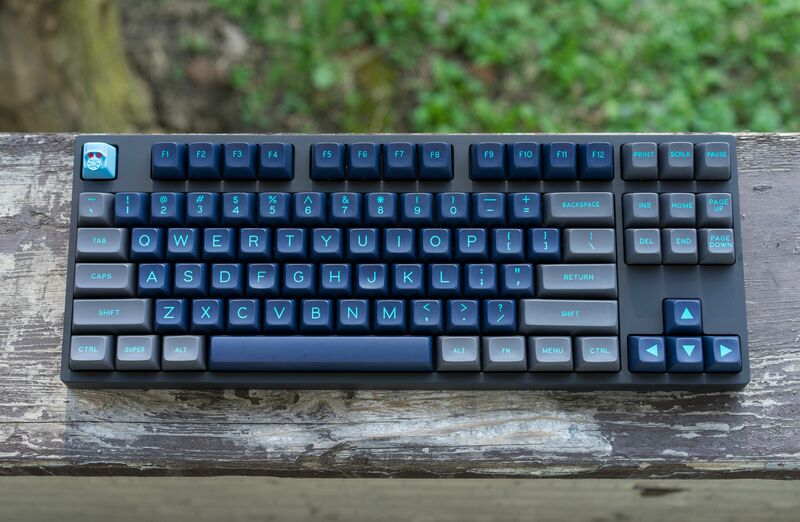 Edit: Big thanks to Kudosgodspeed for the giveaway! Glad I chose the basket. It's so hard to pick one! Every one of them is awesome in their own way. edit- one more because i found some light. i call it "the snack bar"
Dat blue and white is hot stuff. 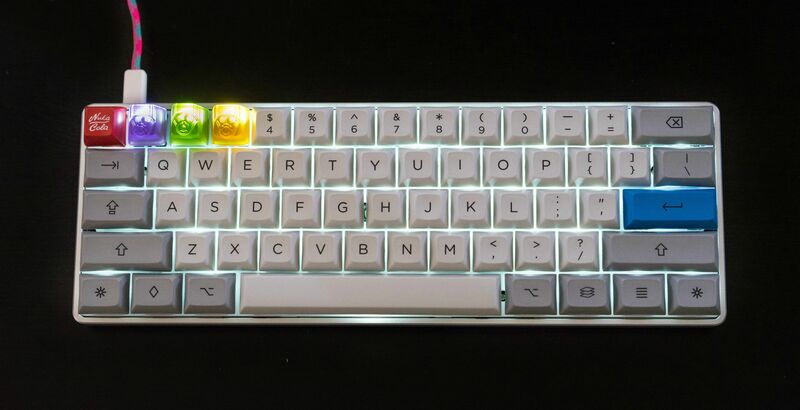 The snack keys looks so good. I need more money! It's more like listerine and light lilac, they're both really soothing colors though. It was a great combination to come up with using their imagination. Urgh just got my tracking notification... these can't come any sooner!! Got my watermelon. Loving how it fits with my setup. Thanks for this. 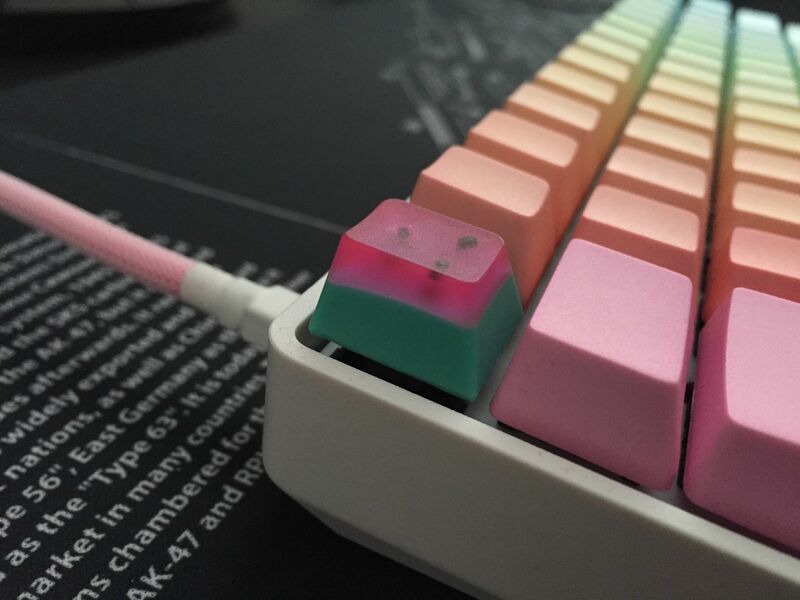 It looks amazing with the rainbow keycaps. I'm wondering how it would look with rainbow POMs. 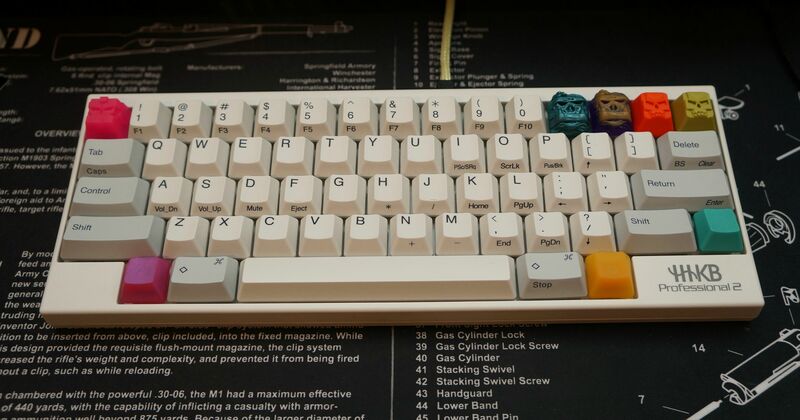 Thank you for the hard work and great caps! 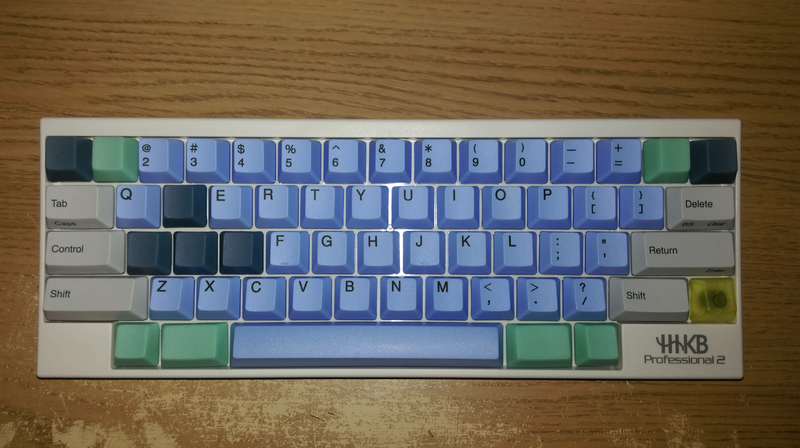 My HHKB is all KeyKollectiv! Love the CMY mods as well as the snozzberry on the escape. 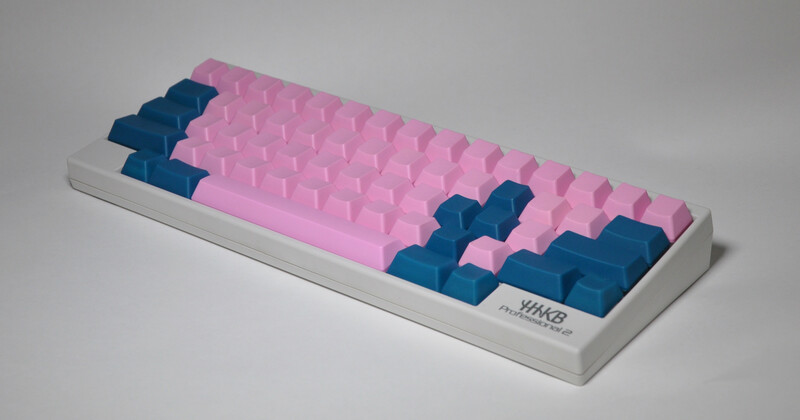 I'm thinking about putting dragonfruit on the other side but I have it in MX and not topre D:. 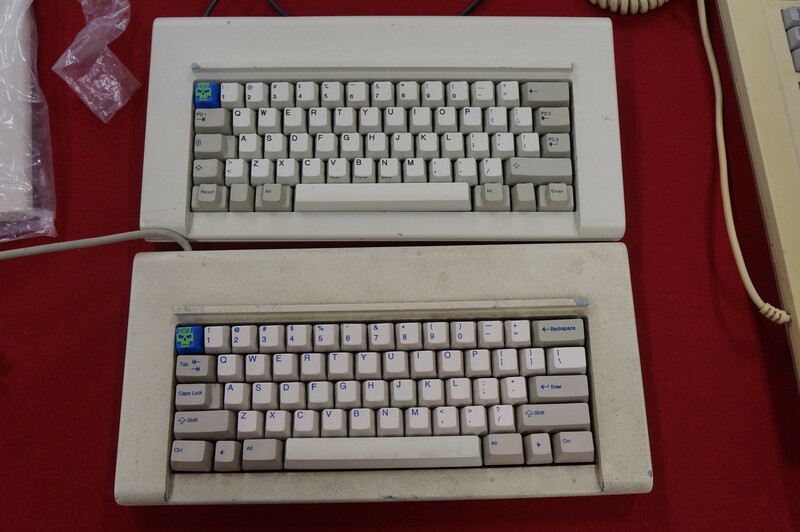 Need something on the R4 Fn key too which would have been perfect for another snackey but the profile is off :/. Thanks for the compliments. 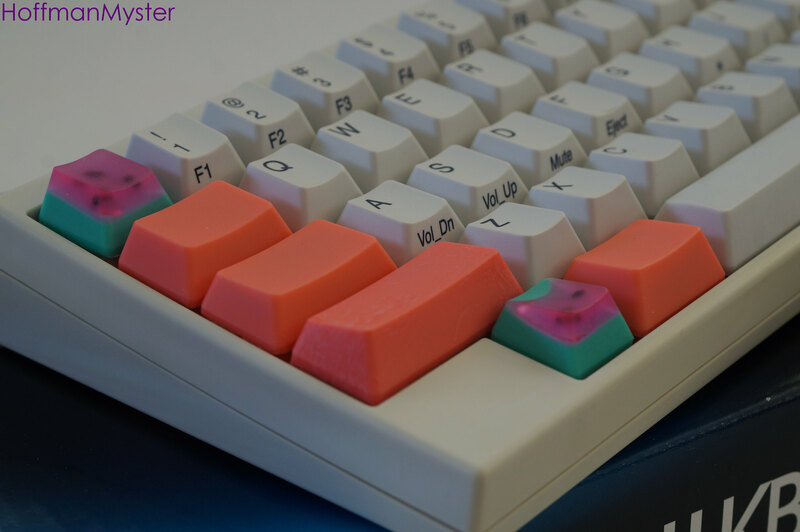 I was wondering if the darker pink would look weird and not quite fit in with the gradient of the other keys, but it turned out great IMO. All these pictures makes me so happy that I got into the sale, but all your professional photographs really discourage me from even trying to take fancy pictures. 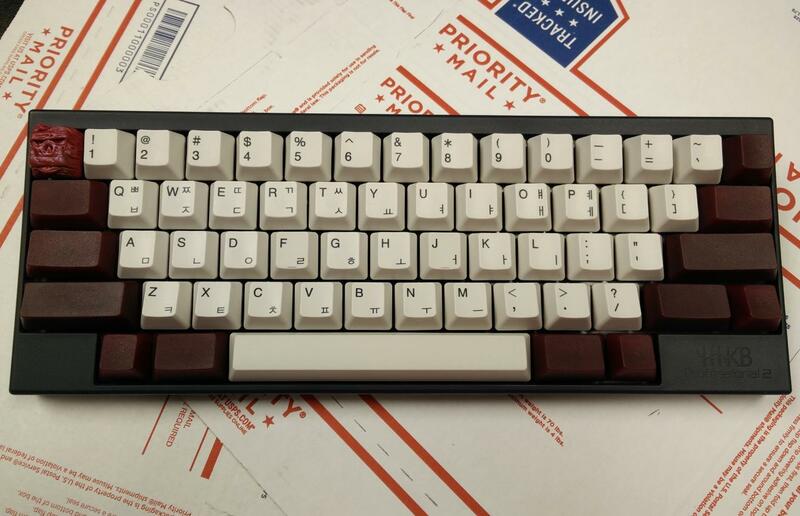 CMY on a black HHKB looks fantastic! Don't be afraid to post your pics! I think we would all rather see a potato than nothing at all. Plus, you've gotta start somewhere and start taking some pictures if you do want to improve. Page created in 0.13 seconds with 76 queries.